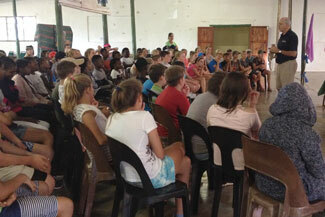 At Ekukhanyeni, children and youth are provided with the perfect landscape to play, discover, learn & explore. 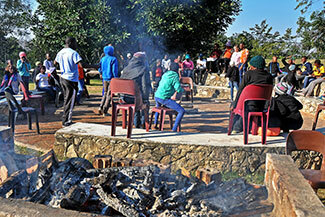 Nestled at the foot of a mountain, Ekukhanyeni’s Youth Camp Facility is unmatched. 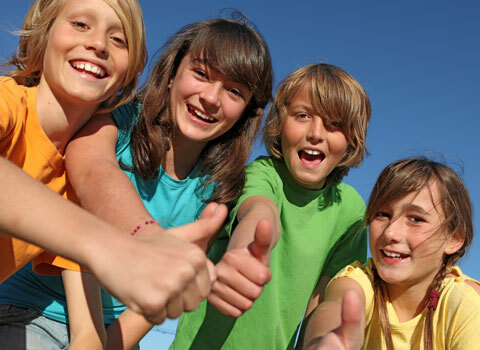 With access to rope courses, a pool, sports fields, archery, and more, there’s no better place for children to learn the value of teamwork, responsibility, and to gain confidence. School or youth groups interested in coming to stay at Ekukhanyeni may be self-facilitated, or alternatively facilitated by our fully qualified instructors. With four dormitories and a total of 104 + beds, Ekukhanyeni is the ideal venue for large youth camp groups looking for overnight accommodation. Ekukhanyeni also provides access to a large recreation hall, a picnic area, a sparkling swimming pool, and sports fields as well as an obstacle course and hiking trails..
To support the staff and facilitators running youth programmes, our separate Guest House features ten beautiful double rooms with en-suite bathrooms. Facilitators staying in the guesthouse will have access to their own bathrooms, lounge, and TV area. With a variety of customized activities available, Youth Camp Facilitators can design an activities schedule that meets their goals and needs. 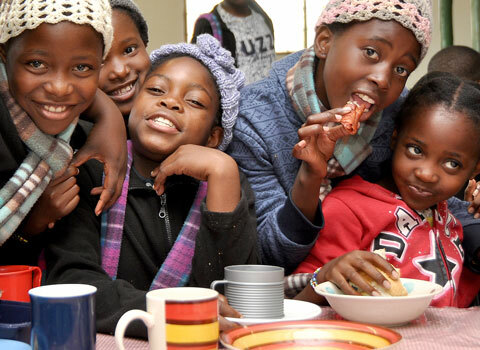 Meals catered by Ekukhanyeni are nutritious, delicious, and generously portioned – just what young people need after a busy day of learning and exploring! 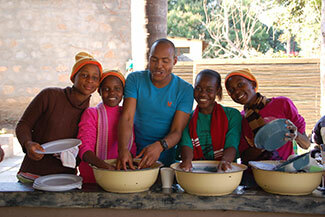 A self-catering kitchen is also available should groups wish to prepare their own food for campers. You may rest assured, Ekukhanyeni is located in one of the safest regions in the Nelspruit – Lyndenburg area. With access to emergency first aid equipment, and hospitals close by, Ekukhayeni is prepared for any safety concerns that may arise during your stay. When Ekukhanyeni isn’t providing accommodation for retreat groups or youth camps, our venue also supports the Orphaned and Vulnerable Children & Youth Programmess run by Mamkhulu.org which run twice a year. These programs support the growth and development of struggling and disadvantaged South African children, youth, and their families. With your support, profits from your stay will directly impact and work to improve the lives of those who come to stay and participate in Mamkhulu.org’s programmes.